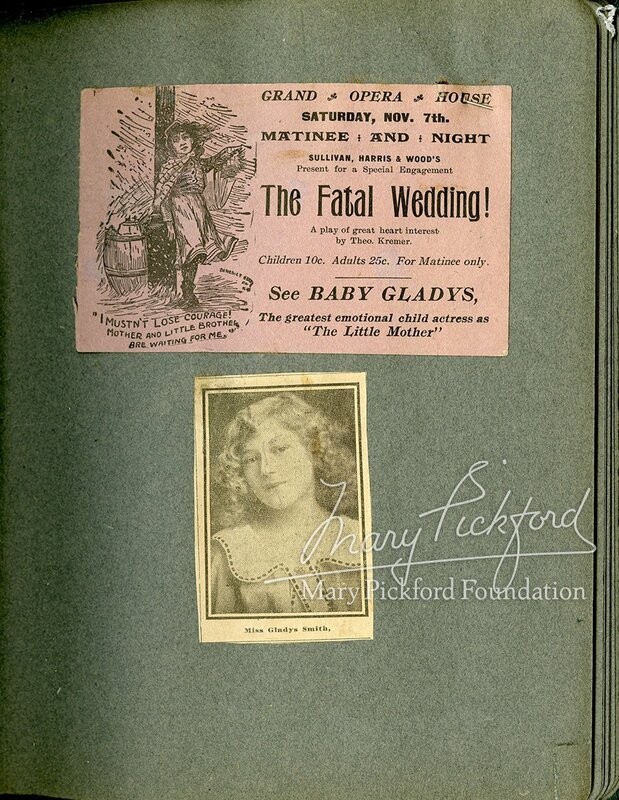 We all know she was born Gladys Smith, but Mary Pickford’s Hollywood fame has overshadowed her early stage career. 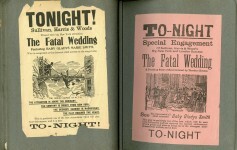 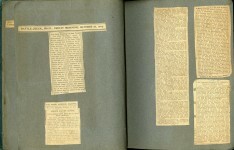 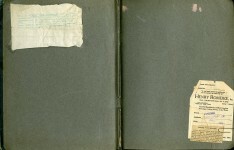 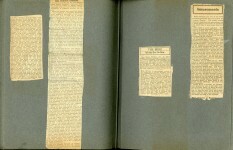 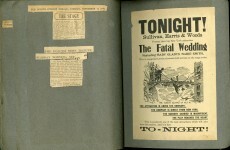 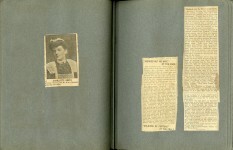 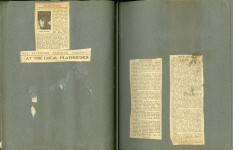 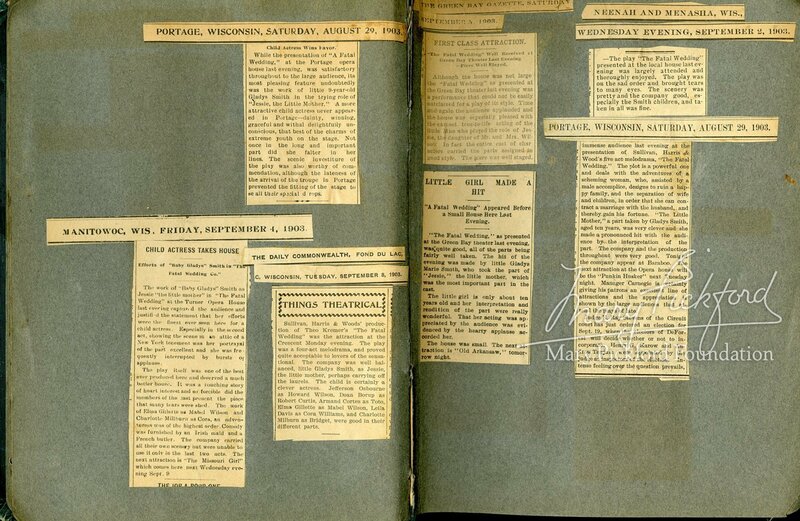 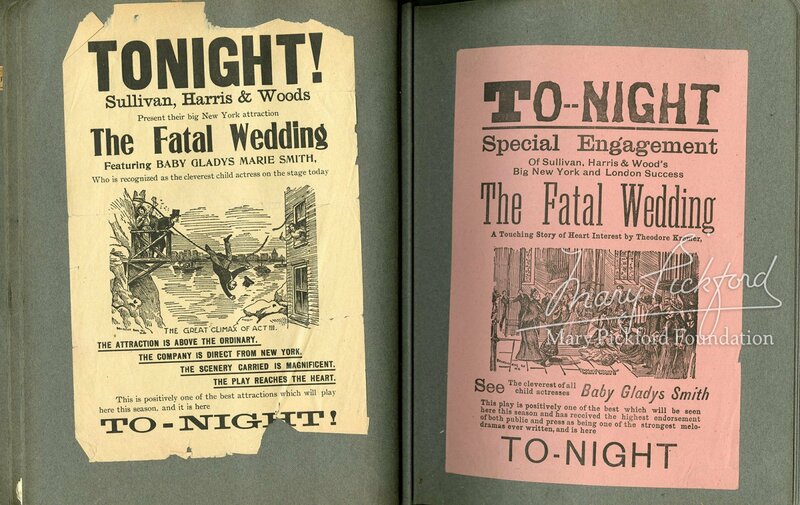 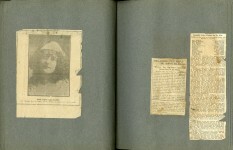 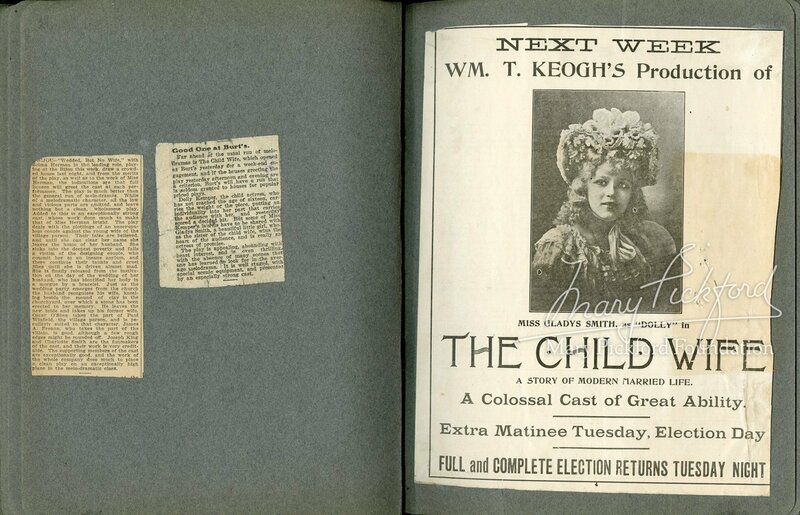 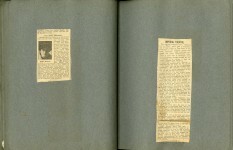 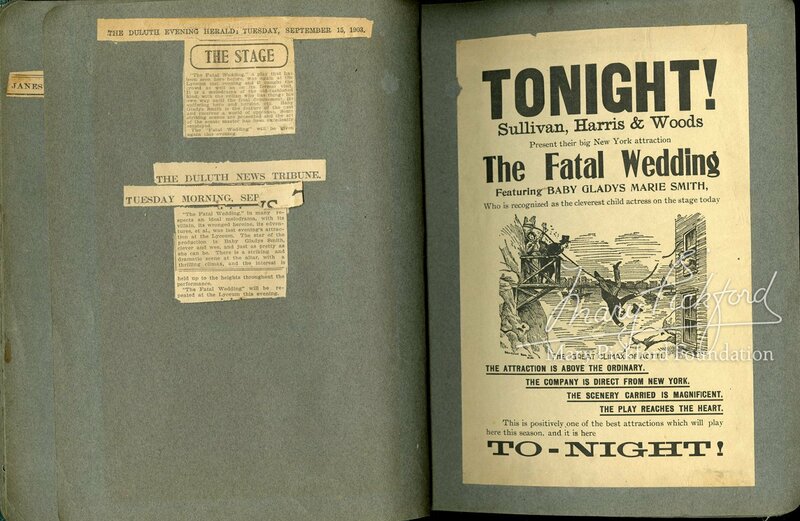 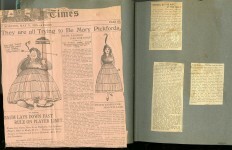 This lovingly created scrapbook features reviews of “Baby Gladys” and her performances in several of her earliest plays including The Fatal Wedding, In Convict Stripes; Wedded, But No Wife and The Child Wife. 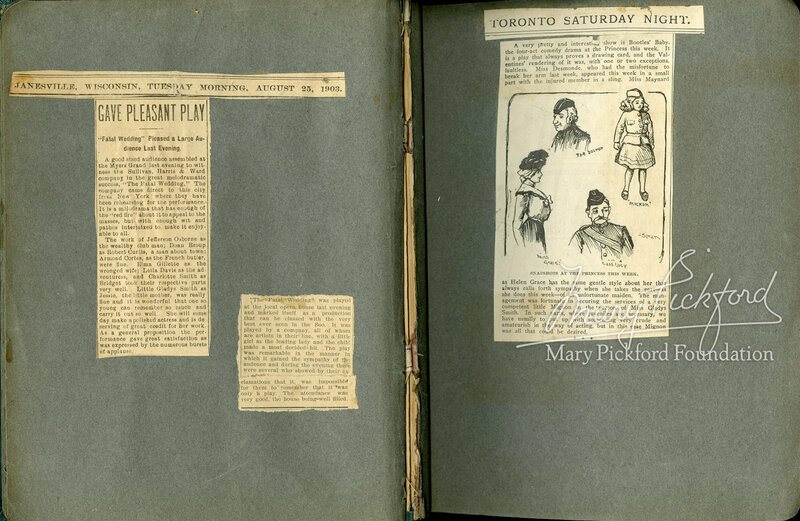 The program from the play Edmund Burke praises the “Millbourne Smith” family as co-stars. 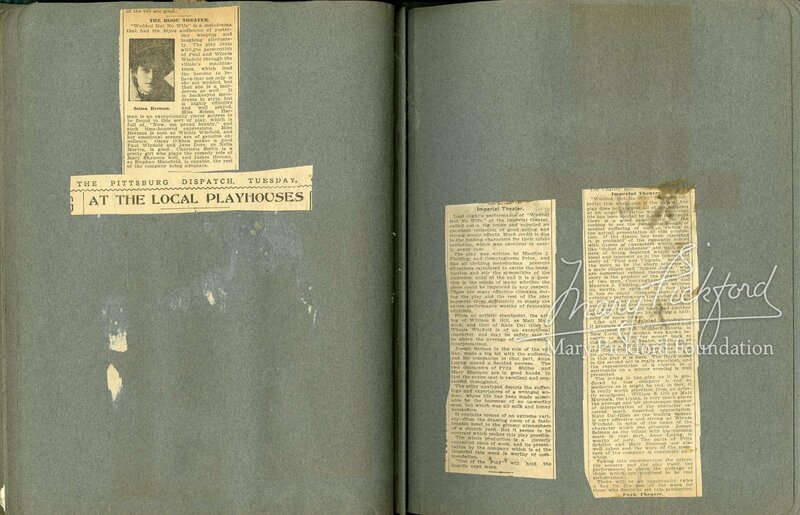 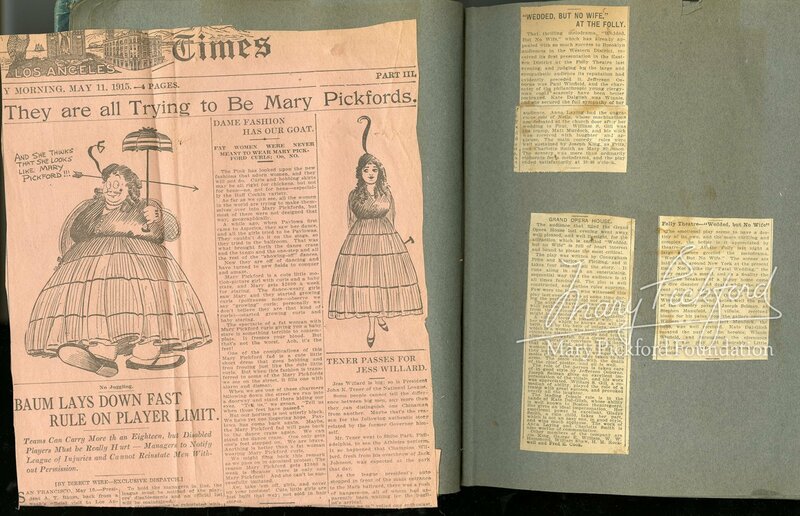 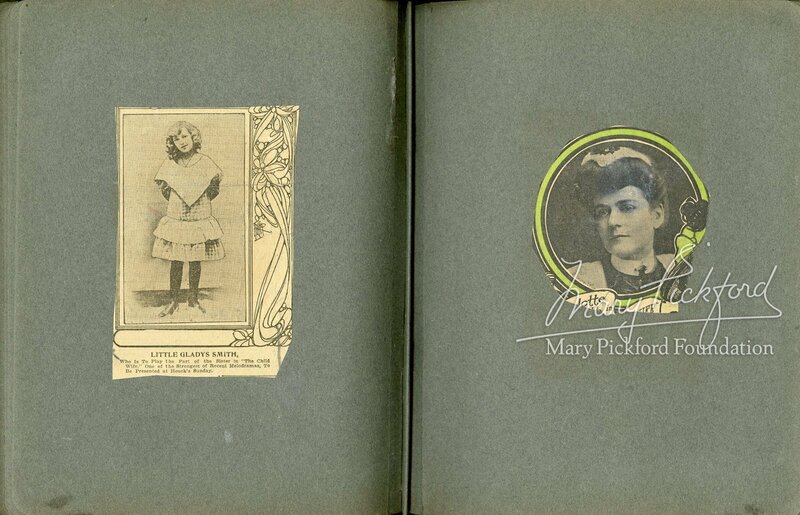 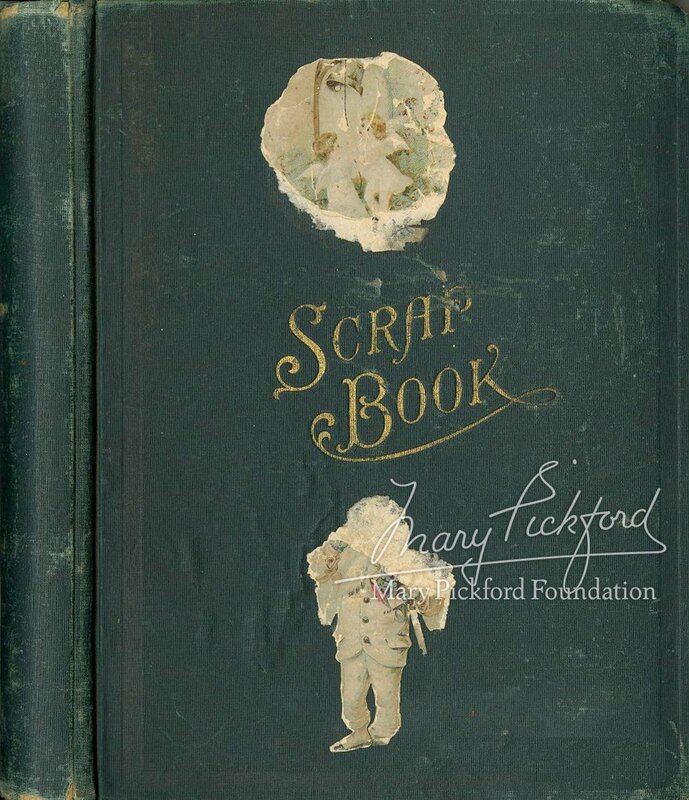 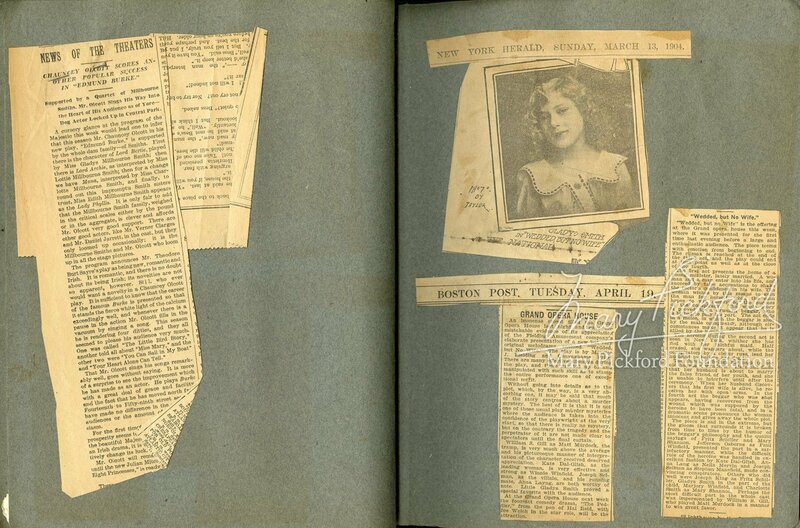 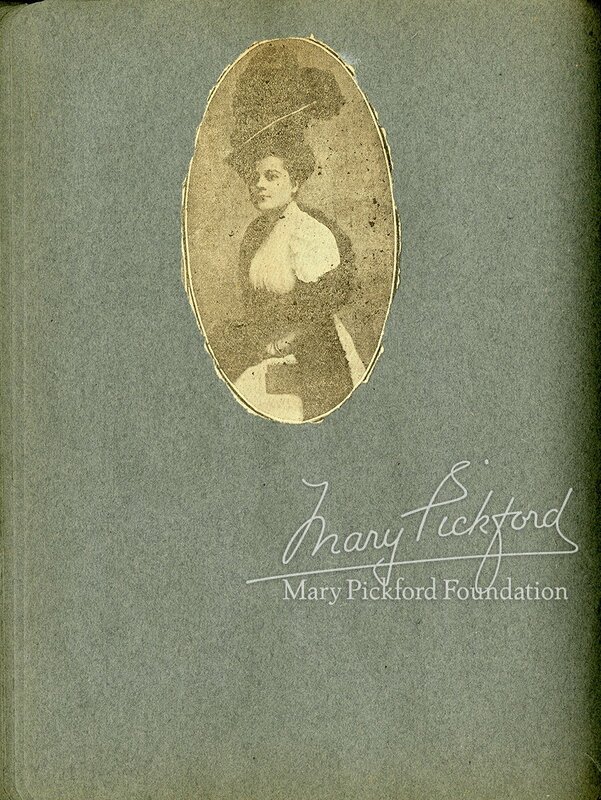 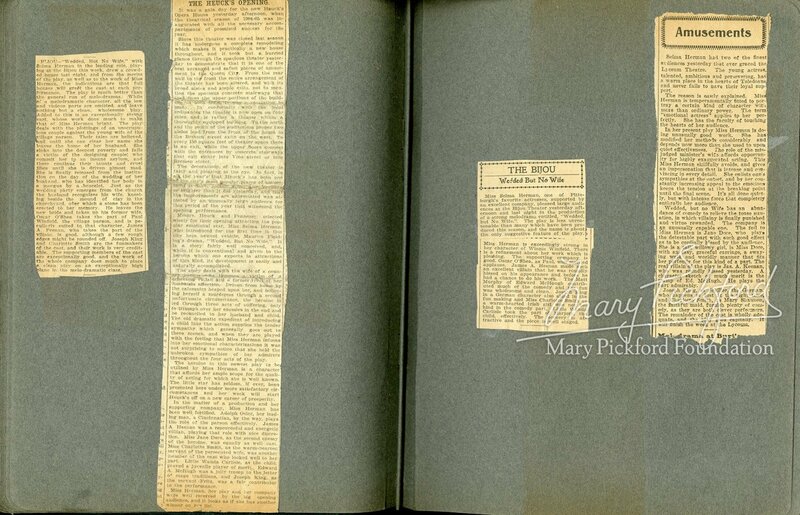 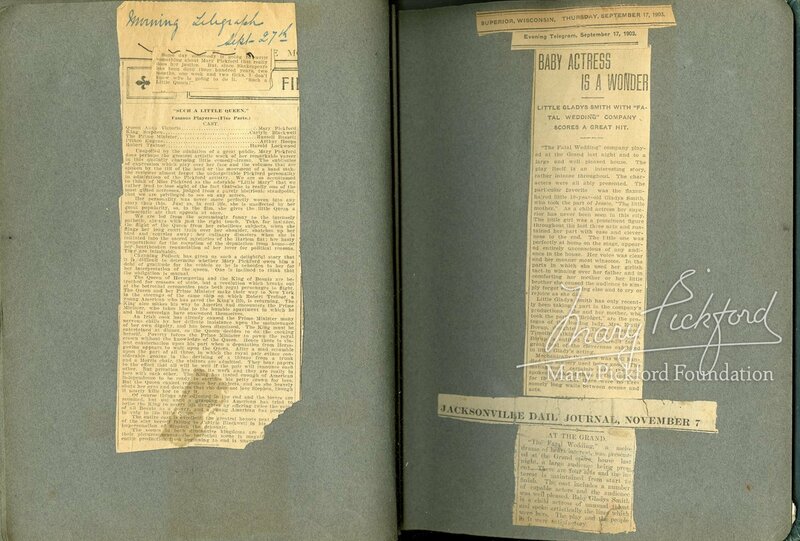 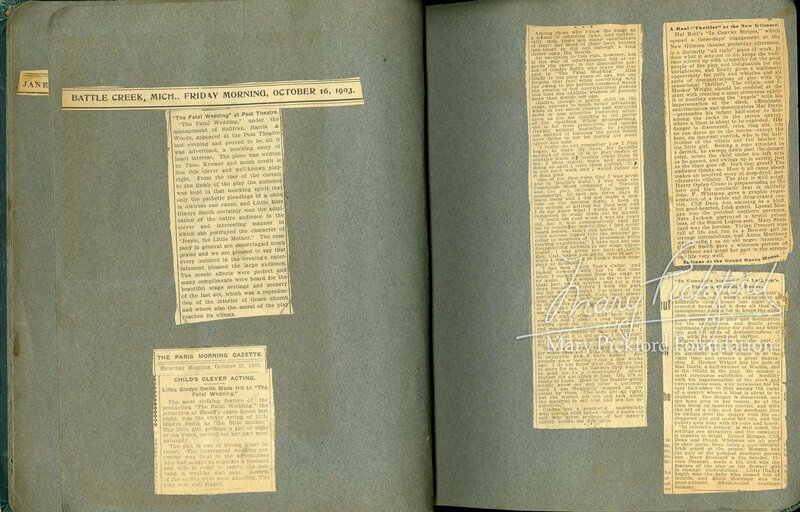 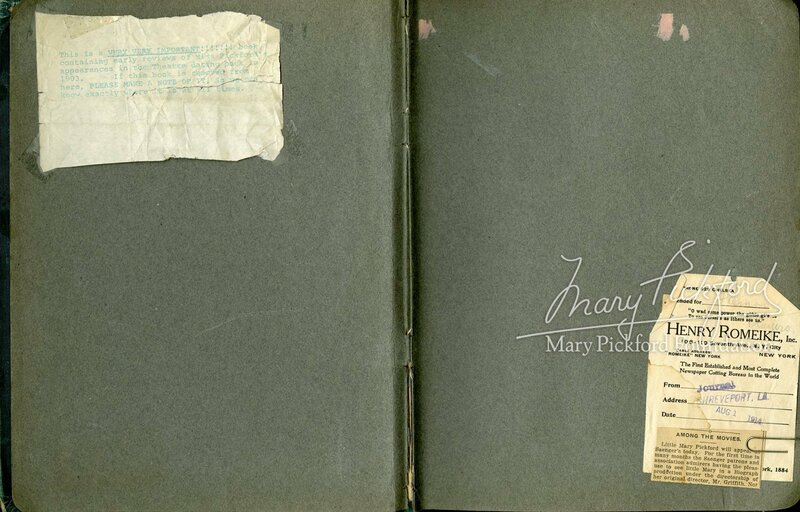 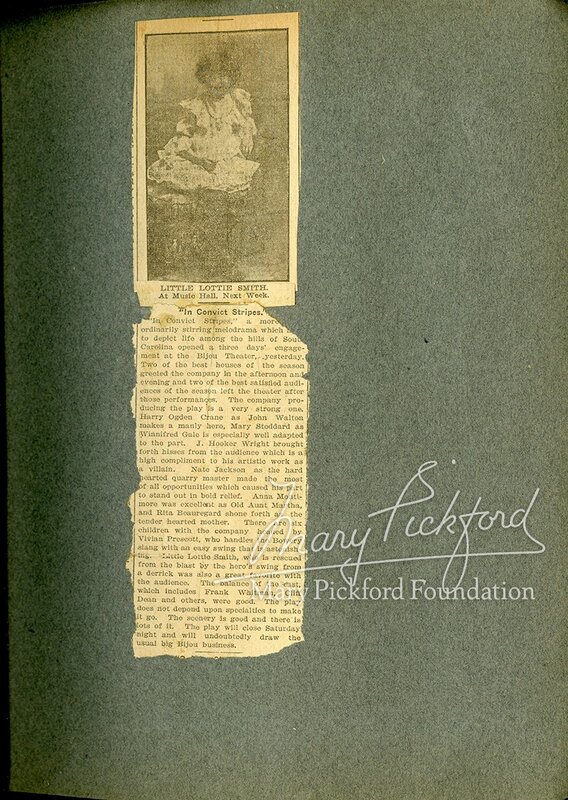 In this scrapbook, we see her going from “Baby Gladys” to “Little Gladys” and then a couple of items on Mary Pickford – many clips are undated, but this is an invaluable glimpse into her early life. 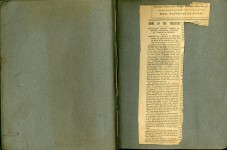 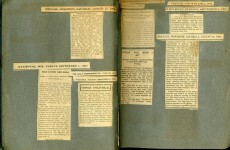 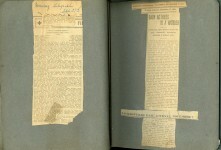 Also included is what has to be one of Gladys’s first “interviews” from 1903.